Ever since Edward Snowden became a household name, China has been taking a new approach to developing domestic technology. Any doubt about this was squashed last week when the merger of two large Chinese semiconductor companies was completed. The question now is, should foreign players such as Qualcomm Inc. and MediaTek Inc. be worried? Last week, Tsinghua Unigroup Ltd., a subsidiary of Tsinghua Holdings Co., Ltd., a solely state-owned limited liability corporation funded by Tsinghua University in China, announced the completion of its acquisition of RDA Microelectronics , a fabless semiconductor company, for about $907 million ($18.50 per share). Unigroup announced its original bid in November 2013 but the outlook quickly became complicated as it had not received pre-approval for the acquisition from China’s National Development and Reform Commission (NDRC), a prerequisite for such a deal. At the same time, Shanghai-based Shanghai Pudong Science and Technology Investment Co., Ltd. (PDSTI), which did get the pre-approval, was also bidding for RDA. Although PDSTI had the upper-hand from the Chinese government’s point of view, its bid of $15.50 per share was below the Unigroup bid, leading RDA shareholders to reject PDSTI’s bid and accept Unigroup’s. For a while, it was unclear how the situation would resolve itself, as neither RDA shareholders nor the NDRC were expected to cave. Unigroup won out in the end with a bit of creativity – it used an overseas subsidiary to make the acquisition. It was a win-win approach – RDA shareholders got their higher price and the NDRC was able to save-face. The latter could also be the case, as it is clear that the government is supporting the development of the industry and anyone positioned in the space would be foolish not to take advantage of the opportunity. After all, Beijing has launched a new US$5 billion fund to support the microchip industry, while the central government is considering a US$16. billion fund to support the sector. Either way, what makes the deal particularly interesting is that in July 2013, Unigroup acquired Spreadtrum Communications , another Chinese chip designer, for US$1.78 billion. Spreadtrum is the second largest fabless semiconductor company in China, while RDA is the third largest. The largest, HiSilicon, is a subsidiary of privately-owned Huawei Technologies. But how do these companies compare to international giants Qualcomm and MediaTek? In terms of size, there is no comparison. 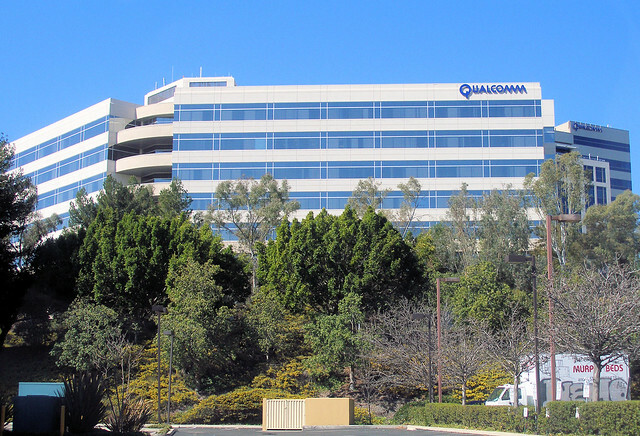 In 2013, Qualcomm had revenues of US$24.9 billion, according to data from Bloomberg , while MediaTek reported revenues equivalent to US$3.2 billion. RDA’s revenues, meanwhile, reached just US$345 million, while Spreadtrum’s revenues in the twelve months to September 2013 were US$948 million. Furthermore, the two Chinese manufacturers focus on the low-end of the market, whereas Qualcomm and MediaTek are high-end producers, so direct competition doesn’t appear to be immediately on the cards. The operating environment in China is clearly not good for Qualcomm. The company said net income in the fourth quarter would be US$1.03 to US$1.18 a share, below analysts’ expectations of US$1.23 a share, citing missed royalty payments in China as the reason for the earnings miss. In a previous post, I highlighted the risk that handset sales in China would be poor as the LTE rollout was slower than expected. Other concerns I raised in that post were with regards to China’s support of the semiconductor industry, as well as the ongoing investigation into Qualcomm for pricing monopolies. Last week, China’s NDRC confirmed that Qualcomm does indeed have a monopoly, allegations which could lead to record fines in excess of US$1 billion, according to Reuters. Summarizing all of this, Qualcomm is already missing earnings estimates because of trouble collecting royalty payments, it has a new competitor in the low-end market that will likely benefit from government support, it is facing fines worth over US$1 billion and there is the possibility that licensees will pay the company even less after the fines are announced. Oh yeah, and did I mention that China accounts for nearly half of Qualcomm’s revenues? To make matters worse, analysts expect that the merged RDA-Spreadtrum company will go public soon. I’ll leave it up to you to work out what all this means for Qualcomm. This entry was posted in Work and tagged China, 發改委, 聯發科, 高通, Mediatek, MTK, QCOM, Qualcomm, 壟斷, 大陸, 中國. Bookmark the permalink.